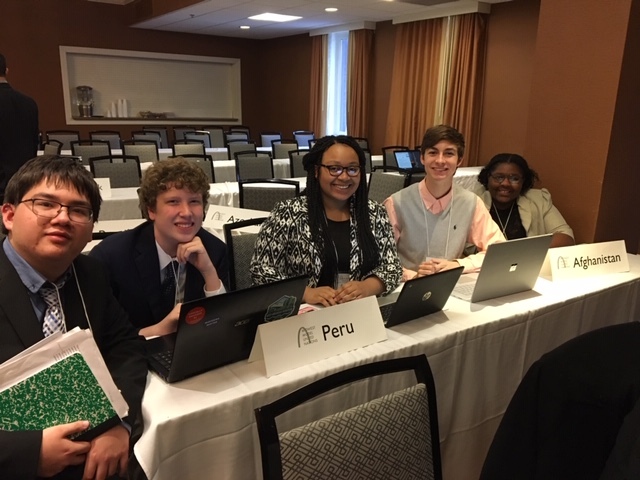 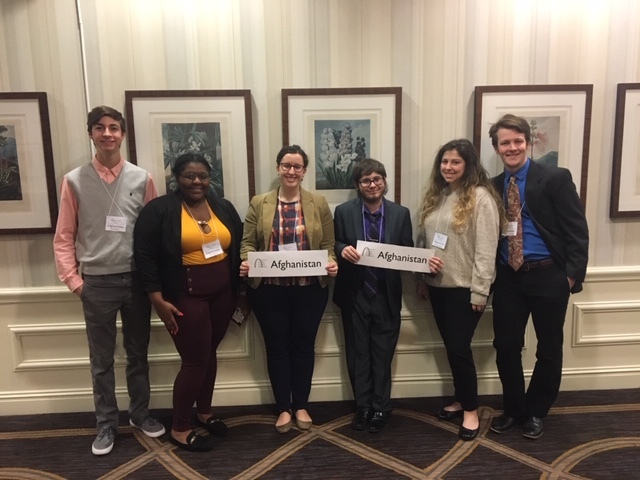 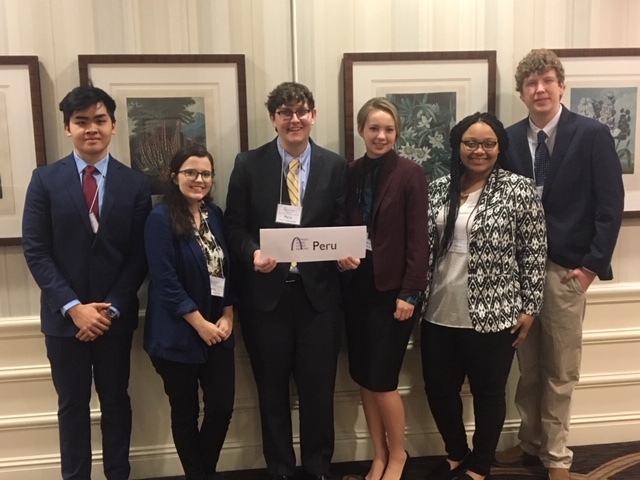 Twelve UCA students participated in the 59th annual Midwest Model United Nations (MMUN) conference held in St. Louis, Missouri on February 20-23, 2019. 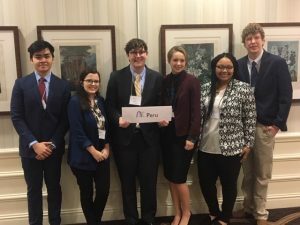 More than 350 students from some 30 colleges and universities throughout the U.S. participated in the four-day conference held at the Sheraton Westport Lakeside Chalet. Wes Rogerson, an Officer for Global Health Advocacy at the United Nations Foundation (UNF) in Washington DC, gave the keynote speech during the opening session of the conference on Wednesday, February 20th. The UCA delegations, which represented Afghanistan and Peru, consisted of Layla Alhajjaj, Skyler Austen, Carolyn Casey, Dylan Garrison, Nelson Graves, Mya Hall, Ganell Jones, Cagney Kilgroe, Abby Mattingly, Quade Reed, Riley Tribble, and Kenny Vo. 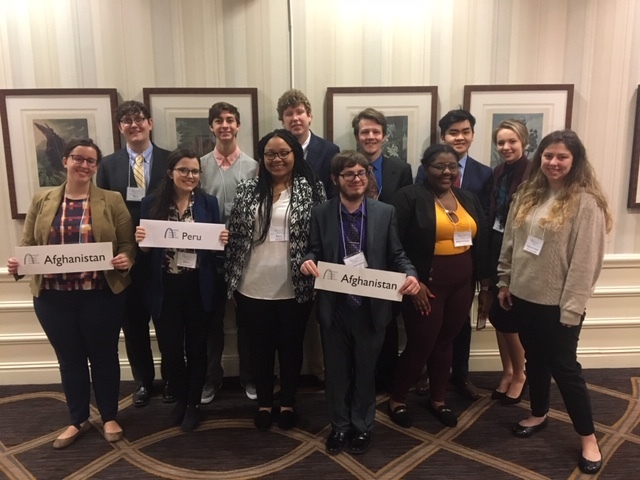 Dr. Mark Elrod and Dr. Mark Mullenbach, faculty members in the Department of Political Science, served as faculty advisors for the UCA delegations to the MMUN conference.